Discussing the Bible and the Qur'an in one breath will surprise some Jews, Christians, and Muslims. But Anton Wessels argues that all three traditions must read the Scriptures together and not against each other. As his book title suggests, the three books, in the end, are actually one tale. Wessels accepts Muhammad as a prophet and takes the Qur'an seriously as Holy Scripture along with the Old and New Testaments -- without giving up his own Christian convictions. Respectfully reading the Torah, the Gospel, and the Qur'an together, he argues, is of crucial importance: our world often sees these religious books as the cause of conflicts rather than the solution to them. 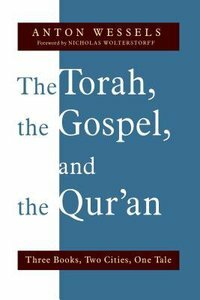 About "Torah, the Gospel, and the Qur'an, the"
Anton Wessels is an ordained Presbyterian minister and professor emeritus of religion at the Free University of Amsterdam. His other books include"Europe: Was It Ever Really Christian?" and "Muslims and the West: Can They Be Integrated?"